These holiday crafts made the top viewed list in 2015! The most views were during weeks 3-7 so if you see projects that you like click on the photo to find the link to the featured project. You will need to like my Facebook page to view and ask questions about the handmade items posted by fans. Save & Pin this for Next Year! The Craft feature series will end on February 7, 2016! Lapels4aCause SPINA BIFIDA AWARENESS is EVERY DAY AWAREness! I GOT MINE! GET YOURS! ONLY $15!!! – Fan Posted on LaCartera Facebook Page. 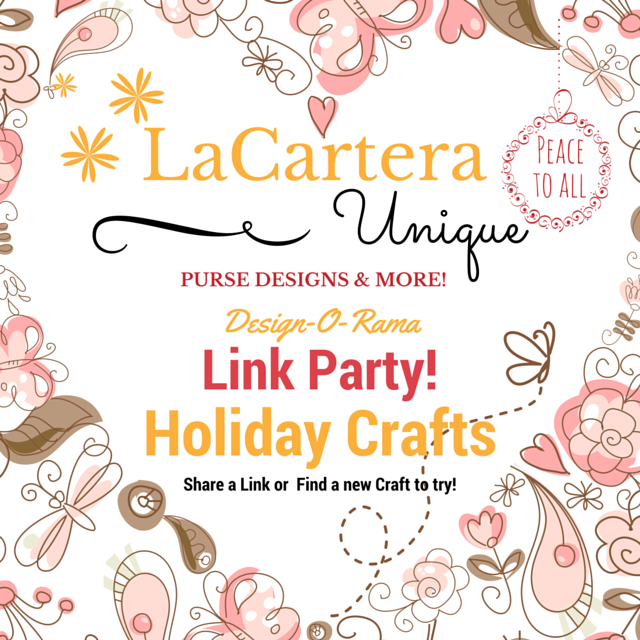 Join the next Link Party on Sunday, January 3rd & Monday, January 4th, until midnight (U.S./Eastern Standard Time). Next Post Top 10 Sewing Tips in 2015! Thank you so much! Here’s wishing you peace and lots of joy. Another year of blogging bites the dust! Cheers!